Consequent on the recent Boko Haram attacks on soft targets in Adamawa and Borno States, it could be recalled that the Inspector General of Police, IGP Ibrahim K. Idris NPM, mni, ordered all Commissioners of Police in charge of State Commands and their Supervising Assistant Inspectors General of Police and their personnel nationwide to be on red-alert with effect from 21st November, 2017 to nip in the bud and prevent the spread of further attacks in the affected States and other States of the Federation. 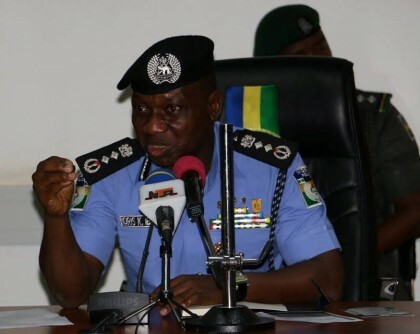 Notwithstanding, the recent cautions and warnings by US and UK missions in Nigeria of possible attacks by Boko Haram Insurgents on soft targets in FCT, Adamawa, Bauchi, Borno, Gombe, Jigawa and Yobe, the Inspector General of Police has re-emphasized and reinforced his directive to all Commissioners of Police in charge of State Commands and their Supervising Assistant Inspectors General of Police and the entire personnel of the Force to remain on Red-alert and beef up security throughout the Country. For avoidance of doubt, the Commissioners of police in the Federal capital Territory (FCT), Adamawa, Bauchi, Borno, Gombe, Jigawa and Yobe States are under strict instruction by the Inspector General of Police to hold stakeholder meetings with the people, strengthen security in their Area of Responsibility (AOR) and carryout massive deployment of Police personnel and equipment in the identified vulnerable locations, perceived/prone soft targets in their AOR. They are also to ensure Twenty Four (24) hours Police Patrols of Mosques and Churches, Market, Schools, Motor parks, Hotels, recreation centres, Settlements, Villages, Towns and cities in the mentioned States. The operations which has commenced in the indicated States will continue throughout the month of December, 2017 and into the New Year and beyond.